This definitely sounds like something you would find at a church pot luck, but I don’t know if that is a good thing or not. It could be flavorful, and of course carrots are delicious and nutritious. While it indicates you will slice the carrots, if you prefer to julienne that would work too. alternate layers of carrots & onions. 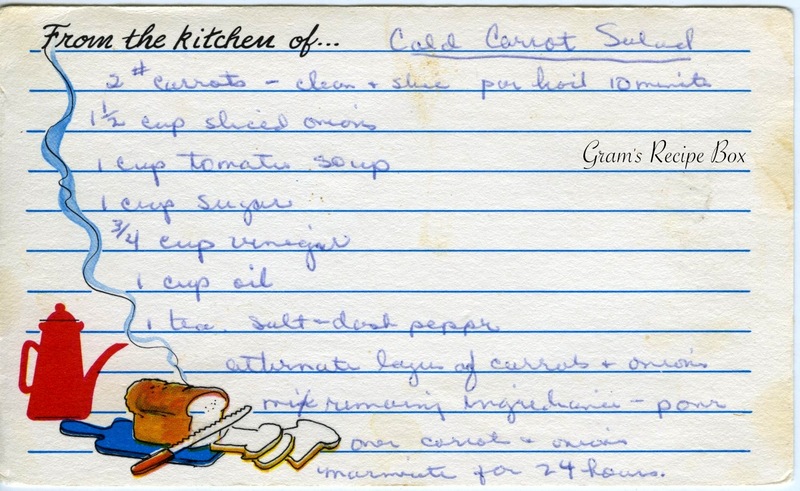 Mix remaining ingredients – pour over carrots & onions. Marinate for 24 hours.